Kansas City, Mo. 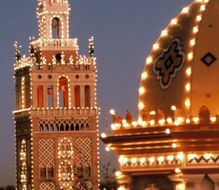 – Just like its iconic jazz and mouth-watering barbecue, Kansas City has earned a bold reputation for its impressive holiday light displays. Before you go, take note of these eight luminous Kansas City traditions that are sure to brighten your holiday. 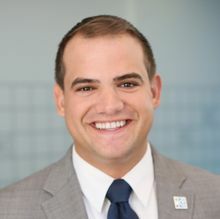 For more information, go to VisitKC.com. 1. 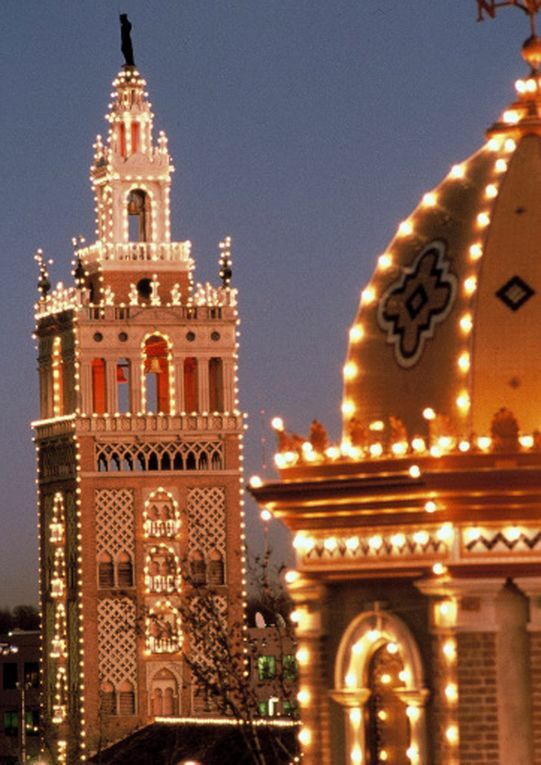 A local tradition for nearly 90 years, The Plaza Lights span 15 blocks on the famed Country Club Plaza, featuring thousands of glimmering, jewel-colored bulbs that accentuate every dome, tower and window of the Spanish-inspired shopping district (Nov. 28-Jan. 12). Area native and film star Rob Riggle will flip the switch on Thanksgiving night. 2. Checking in at a lofty 100 feet, the Mayor’s Christmas Tree at Crown Center stretches higher than those on display at the White House and Rockefeller Center (Nov. 29-Jan.1). The massive holiday icon sparkles with 7,200 white bulbs and represents the Mayor’s Christmas Tree Fund, which aids Kansas City’s less fortunate. Mayor Sly James and a celebrity guest will flip the switch on Nov. 29. 3. Several downtown buildings will light up the winter sky for City Lights (Nov. 22-Jan. 1). 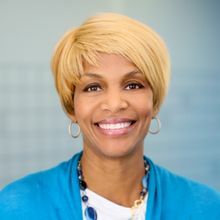 The notable centerpiece is the front façade of the 22-story Marriott Downtown, featuring a synchronized display of 30,000 bulbs and 16.7 million colors. This annual celebration of lights marks the return of The Salvation Army's Annual Christmas Campaign. 4. 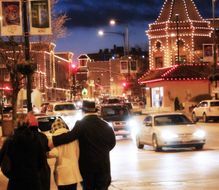 Zona Rosa, a shopping district known for reviving several local traditions, spruces up its streets each holiday season for Northern Lights (Nov. 23-mid-Jan.). 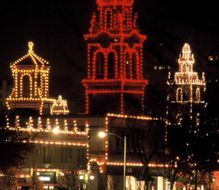 Massive and ornate, several lighted crowns are suspended above the district’s busy streets, harking back to a 1950s downtown KC tradition. 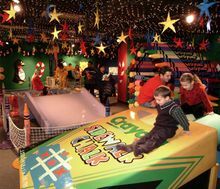 Also in store for visitors: breakfast with Santa, a holiday igloo, carriage rides and visits with Kansas City Museum’s Fairy Princess. 5. 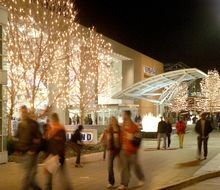 Legends Outlets Kansas City will keep shoppers in tune with its Legendary Light Show, back for its ninth year (Nov. 24-Jan. 2). 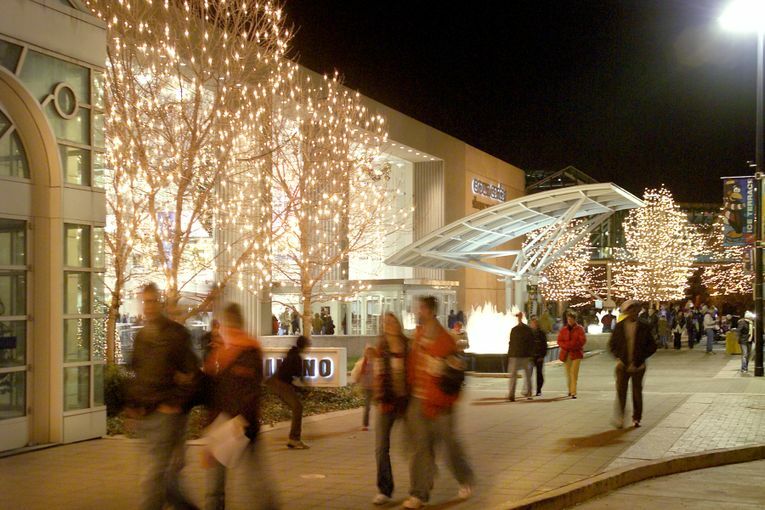 Every 15 minutes, the shopping center will spring to life with thousands of dazzling lights synchronized to classic holiday tunes. 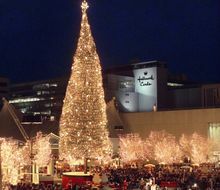 Other festive activities include a decadent 45-foot tree and larger-than-life Christmas ornaments sprinkled throughout the district. 6. Thanksgiving eve marks the return of Christmas in the Park, a festive drive-through display in Longview Lake Park (Nov. 27-Dec. 31). A tradition for more than 25 years, the Park is transformed into a delightful winter wonderland with more than 300,000 lights and almost 200 animated figures. The event is free, but donations are accepted to benefit local charities. 7. 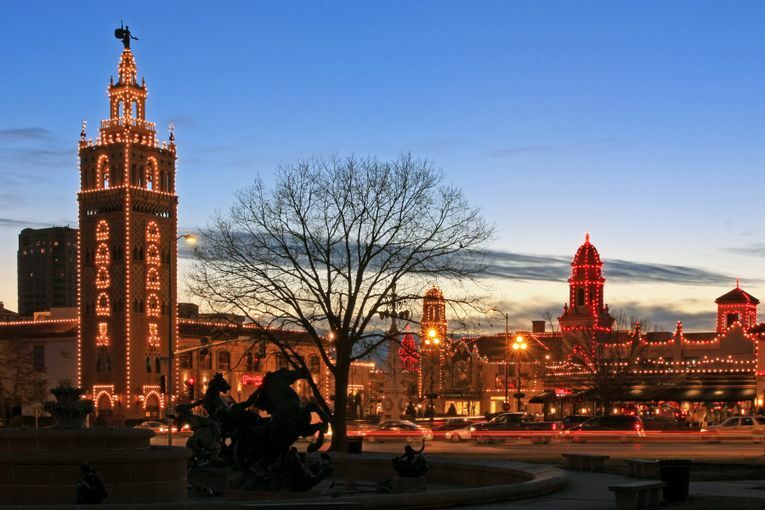 The eight-block Kansas City Power & Light District will shine with its 4th Annual Holiday Open House on Nov. 21. In addition to the lighting of its enormous tree, this free event in the downtown entertainment hub will feature visits with Santa Claus and his reindeer, holiday carols, happy hour specials at surrounding restaurants and bars and shopping specials. 8. Looking to enjoy the sights without leaving the comfort of your car? 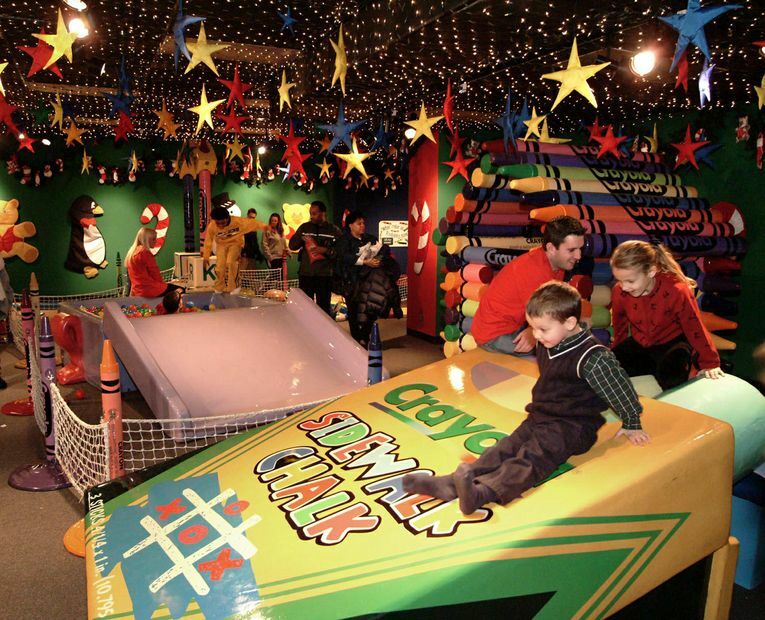 Head to Christmas Card Lane, a drive-through adventure inside one of KC’s most festive neighborhoods (Nov. 29-Jan. 1). Featuring more than 200 decorated homes in Olathe, Kan., the celebration earned its name by the larger-than-life greeting cards that line the streets. Kansas City’s major holiday light displays offer no shortage of cheer for you and yours this season. 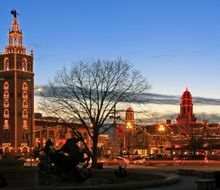 For a complete rundown of winter activities, plus hundreds of seasonal discounts and special offers, go to VisitKC.com. 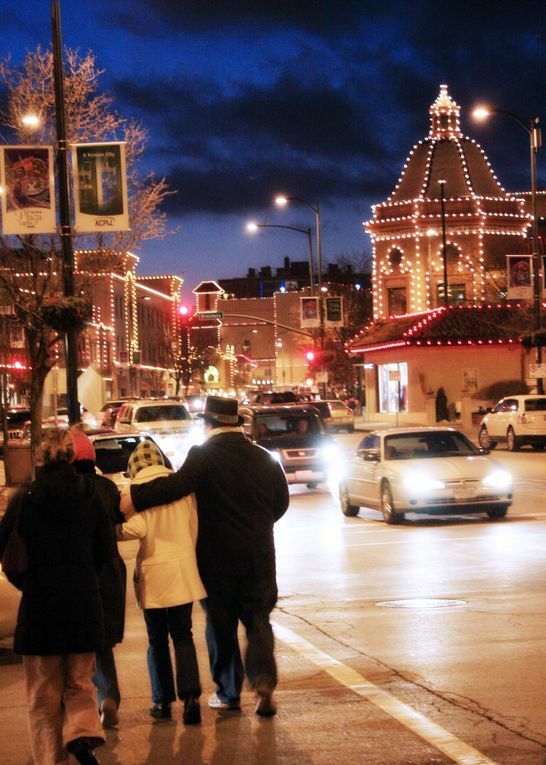 More than 80 miles of lights outline the Country Club Plaza each holiday season. 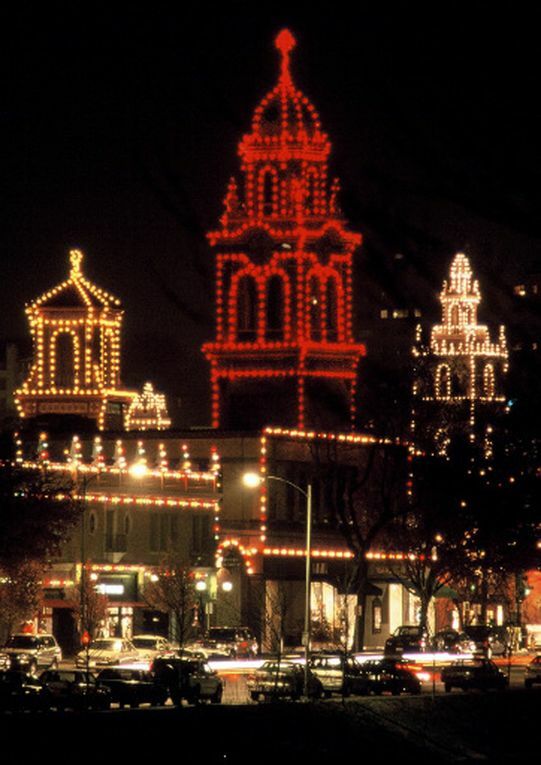 More than 80 miles of lights outline every building, dome and tower on the Country Club Plaza each holiday season. Hallmark's Crown Center features activites for the whole family during the holiday season. 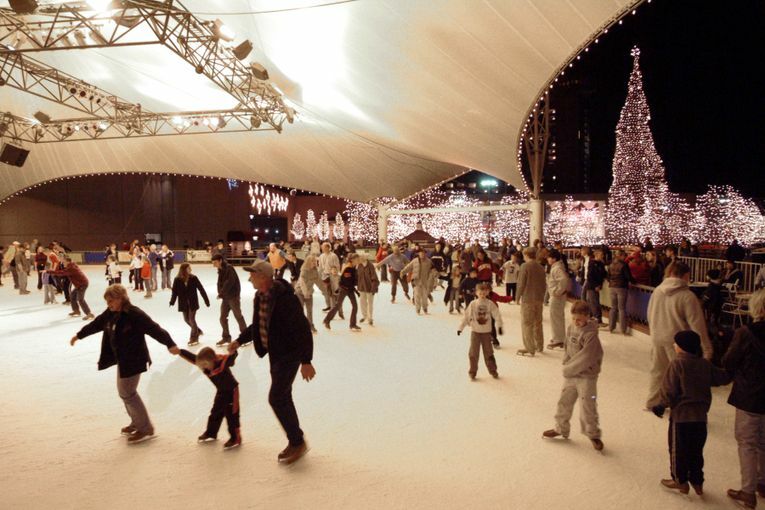 The Ice Terrace at Crown Center is Kansas City's only outdoor, public ice rink. 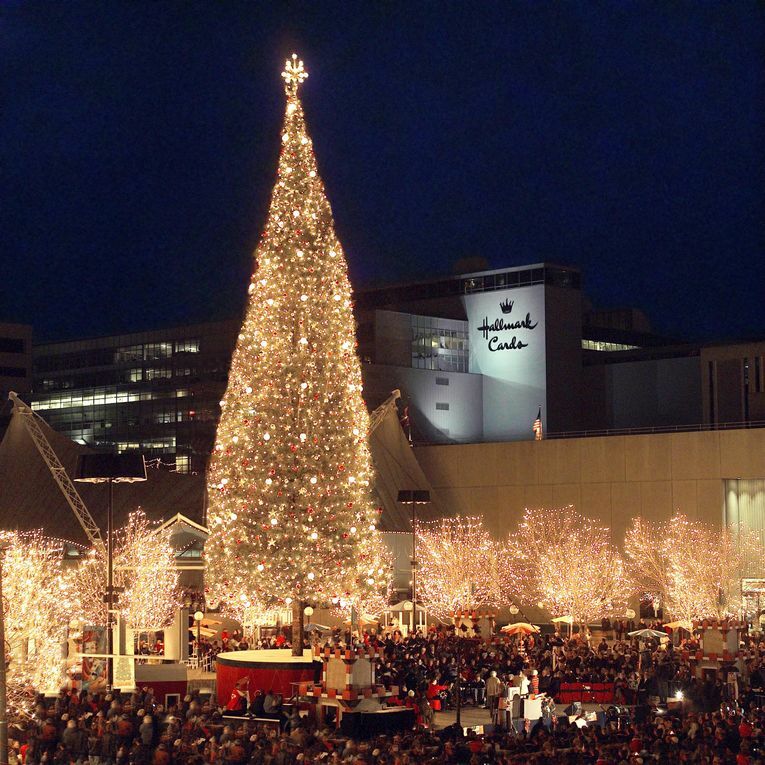 The 100-foot-tall Mayor's Christmas tree at Crown Center is one of the tallest in the nation. 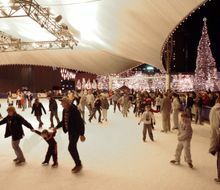 Hallmark's Crown Center is magical during the holidays with seasonal performances, an outdoor ice terrace and the 100-foot-tall Mayor's Christmas Tree.